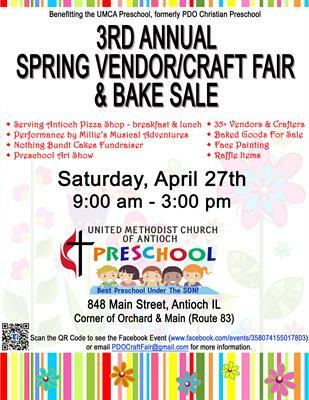 The United Methodist Church of Antioch will be hosting it's 3rd Annual Spring Vendor/Craft Fair & Bake Sale to benefit the UMCA Preschool (Formerly PDO Christian Preschool - The Best Preschool Under The Son). Come out to see all of our great vendors AND support our school! Lots of baked goods will be available for purchase as well. While you're shopping, get some breakfast/lunch - we will be serving pizza from Antioch Pizza Shop! We will also have a Face Painter and a special concert from Millie’s Musical Adventures! 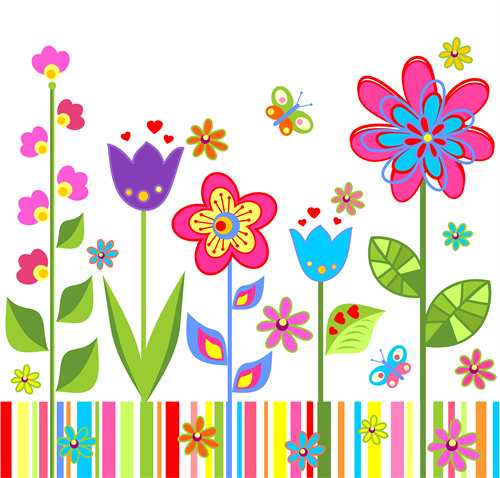 There will also be an Art Show featuring masterpieces by the preschoolers! New this year, we will be having a raffle for vendor items, gift certificates, and more! Make sure you get your FREE raffle ticket when you walk in the door and more tickets can be purchased at the bake sale! Also, don't forget your map at the door; if you purchase from 4 or more vendors, you will be entered to win a Visa Gift Card! Nothing Bundt Cakes - Email PDOCraftFair@gmail.com to place a preorder! Free Admission! Email PDOCraftFair@gmail.com with any questions.